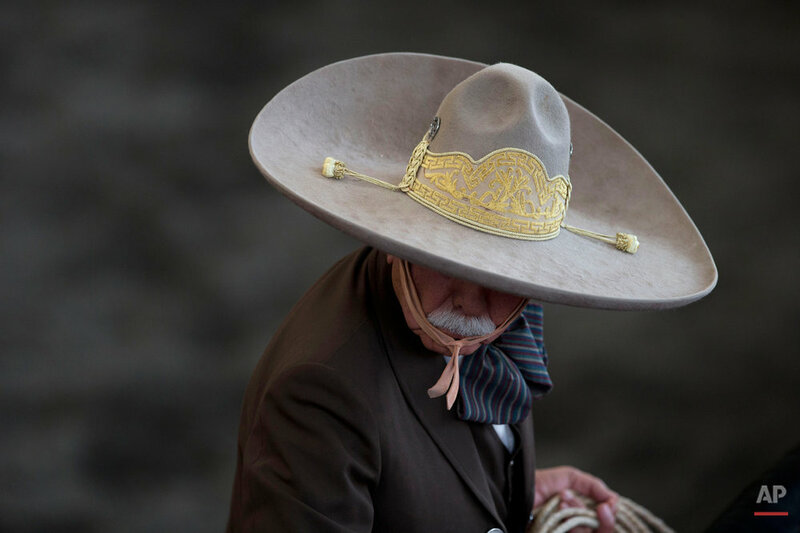 Mexico's best charro horsemen, wearing traditional wide-brimmed sombreros, lassoed galloping mares, flipped bulls by their tails and tested their mettle atop spirited horses on a recent weekend in Mexico City. 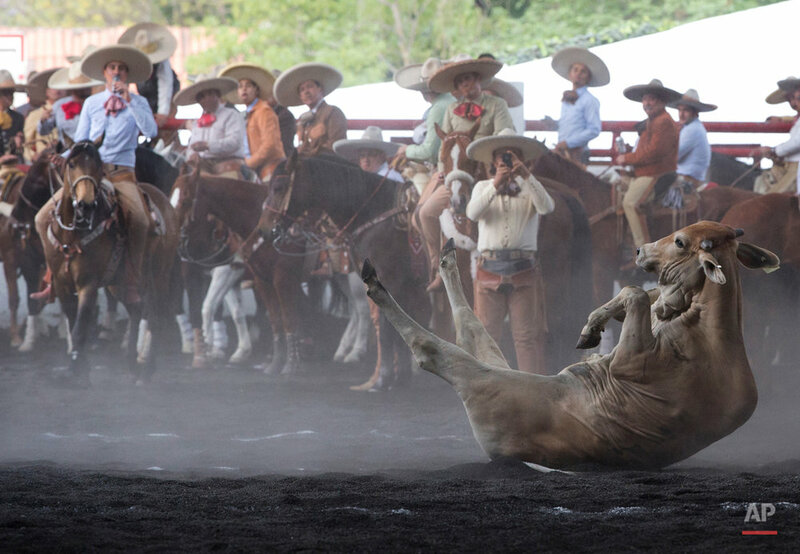 It was a national tournament of the country's official sport: charreria, or Mexican rodeo. The sport evolved over centuries from the demands of working life on ranches. The skills and traditional dress on display in charreria evoke a bygone era of hacienda life. "It's something that identifies us as Mexicans," said National Charros Association member Fernando Medellin Leal, who has been practicing the sport for 30 years. "It keeps alive traditions and cultural values such as strength, work, order and respect." Charreria is often a family tradition, passed down from one generation to the next. Children are introduced to the sport as young as age 2 or 3, and many charros spend decades in the ring. Horses, too, undergo rigorous training. They must be able to respond instantly to a rider's commands, stopping from a run, turning in tight circles, walking sideways and backward. "The pairing between a horse and its rider is as if they were one piece," said Medellin. Despite the lack of spectators at the recent tournament, National Charros Association President Manuel Basurto Rojas said participation is growing. More than 20,000 charros are now registered to compete, he said, and the number of associations has grown from 40 or 50 to more than 1,000, including more than 300 in 14 U.S. states. "With horses, the (Spanish) conquest was done, independence was won, the revolution was made. It's part of the Mexican identity," he said. In the U.S., some events have been banned amid criticism from animal rights groups. Mexican charreria has not yet faced such pressure, despite recent legislation banning the use of animals in circuses. "We in charreria are taking things into our own hands," said Basurto. "We have codes, we have rules, for how to treat the animals." 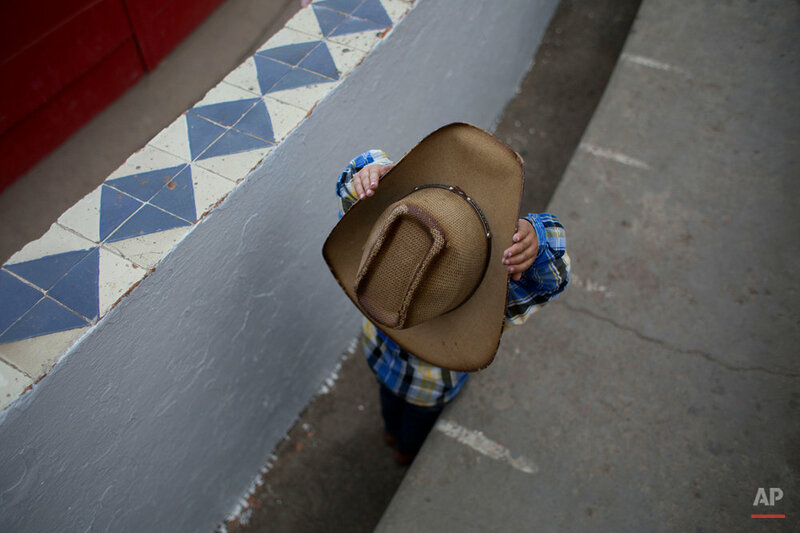 Text from the AP news story, AP PHOTOS: Mexican rodeo keeps ranch traditions alive, by Rebecca Blackwell.